Start your review of Nik Kuro. Thank You! 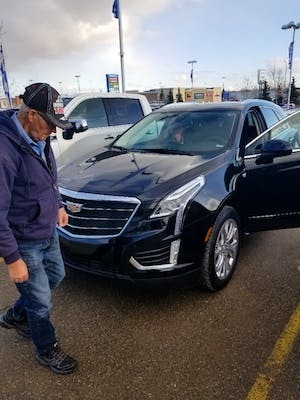 Your message has been sent to Nik Kuro at Capital GMC Buick Cadillac. Nik went above and beyond to satisfy my need. 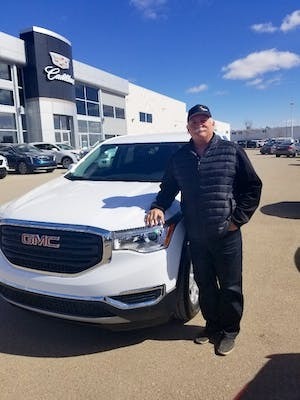 He added lots of value and I drove away my GMC Terrain Happily. 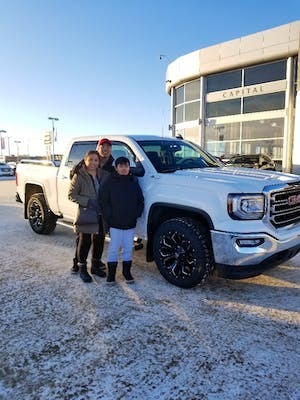 If you ever go to Capital GMC, ask for Nik  you will get your money's worth. Thanks Nikolas, you provide us outstanding serves. It was pleasure to meet with you and we appreciate the outstanding help. Excellent job! Will be back! Experience was good, Take us for a test drive & then answered all our questions we had. They helped with selection & explained options. Seems staffs were out to help. Made my purchase easy. Very satisfied with the team, niko and the gang were spot on. I would buy at capital again niko even came to get my plates with me to make sure I had no trouble Great group. Well trained. Ted Buch. Very smooth experience. Very attentive staff! They had the car ready for me to test drive at the agreed to time. They made my purchase easy and efficient. Based on our recent experience, we highly recommend Capital! Both Robin and Niko were very helpful, knowledgeable and friendly. We had been looking for the perfect vehicle for quite some time and had visited many dealerships. Their knowledge of the vehicle’s specs and options made our choice easy. 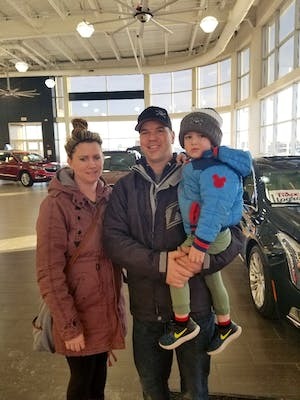 We were very impressed with the service and extended warranty packages that both Capital and Cadillac offered, making this the perfect vehicle and company to support. They were able to customize the vehicle to our liking as well! Thanks for the excellent service! "Shopping New - Found a Perfect Used"
Unfortunately, after 477,000 Kilometers my Crown Vic packed it in. I had a list of 9 new vehicles to choose from and when I stopped at Capital, two of those vehicles were in your show room. The Caddy ATS and the Challenger side by side. After looking at the rest of the list I had, the Challenger was on my mind and the price was much better than ordering new. A week later I came back to check the Dodge out again ... ... It sold itself ... .. . I bought it. Staff was very friendly and attentive and showed me all I asked to see. 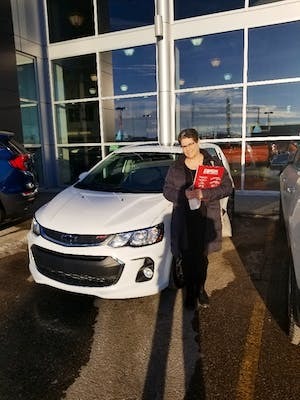 Came back the next day and purchased my car. I need extra rims and tires and was well taken care of and provided with a beautiful Buick SUV to use until the Dodge was ready. Could not ask for more. Thank you all. The old Ford was pampered at Bennett Dunlop Ford and now the Dodge will be having regular checkups at Capital GMC. See you all later ... .. . Have Fun ... .. .
Other Employees Tagged: Jona McLeod, Ryan Nakonechny, Robin Sanghvi, Dillan Kuntz, Alex O'Connell , And the guy in parts who picked those totally Ace rims for the Challenger...So Cool! !